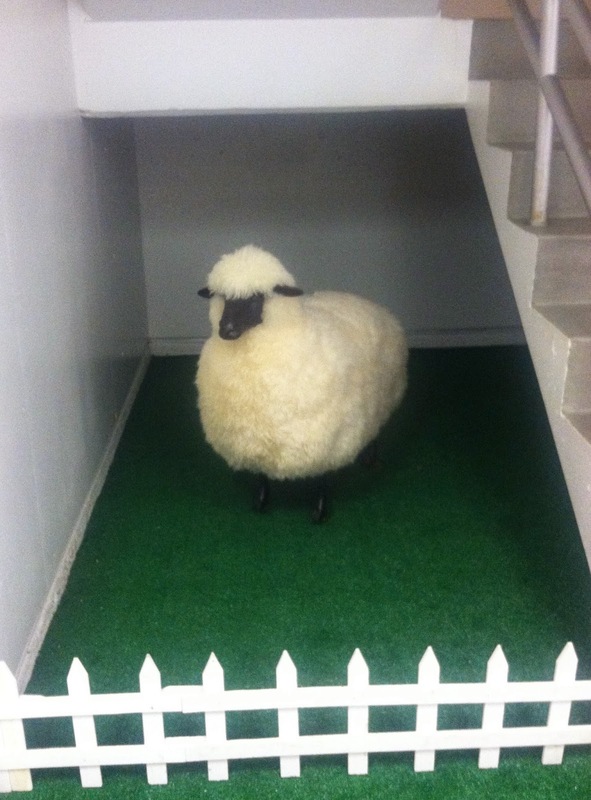 This sheep has taken up residence at Tucson's Museum of Contemporary Art. This fine fellow is actually a seat/bench! But the wee picket fence has been erected to keep children (and adults, too, I am sure) from actually sitting on him. Ah... if only my little Australian Shepherd had been with me - I would have loved to watch him try to herd THIS sheep!